It went thump overnight but not as much as needed to see 6" area wide. 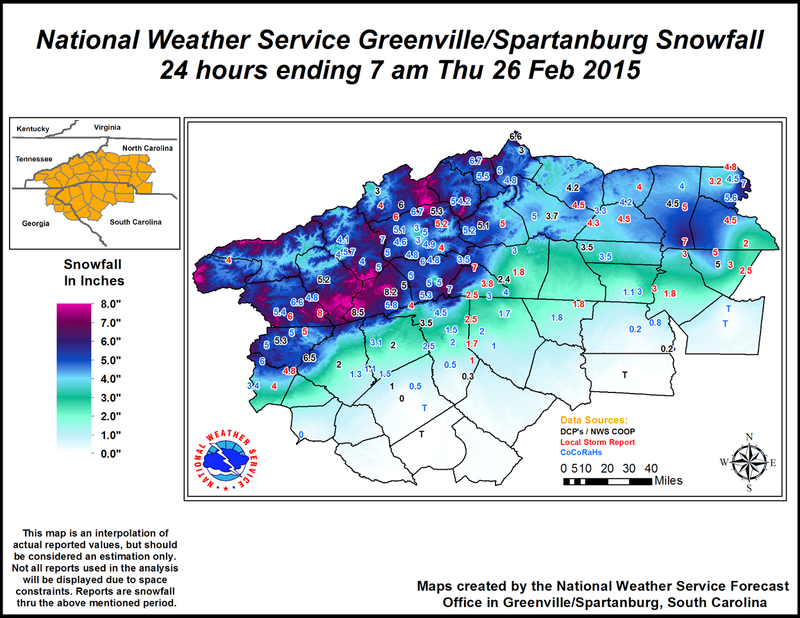 Reports aren't in yet this AM (officially) but 4-5" is more common around most of the central/NW Piedmont. 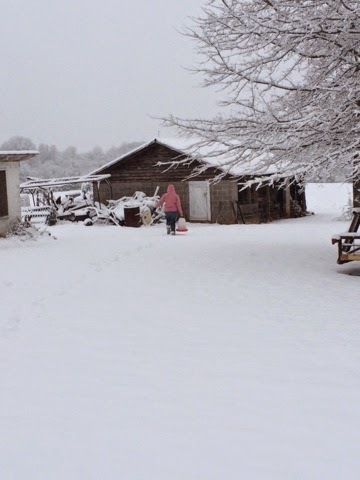 Measured 4.75 at our farm but it is also snowing again moderately. This too shall pass. My headline sticks, what you see is what you get with perhaps a dusting on top of that. The storm is still cranking up in Virginia and East from the Triangle to the coast, but moving rapidly east northeast and will be off the coast by midmorning. Seems like most places struggled to reach six-inch mark not due to lack of precipitation but because of marginally cold air - standard liquid to snow ratio is .10 of precip makes 1" of snow. Around CLT metro saw reports of rain and sleet mixing in so they were probably averaging more of about 6 to 1 ratio which makes a big difference. You can see from my photos and probably from your window that the snow was heavy and there aren't tens of thousands without power across the state and 2000 in Rowan last I saw. I'm off to be a nerd and measure snowfall at some other places around here so I have no more time for you right now. I would appreciate it if you would leave a comment on Facebook or my blog telling me how much snow and where measured. Don't worry mom, you don't need to, I'll text you. The Storm Prediction Center (SPC) in Oklahoma issues mesoscale discussions for heavy winter precipitation. Typically we see the above kind of weather highlight / discussion during possible tornado watches and other severe weather events. They issued this not too long ago - 8PM - talks about the heavy snow rates you are seeing outside your window now. One possibly 2+ inch snow rates per hour for a few hours. OF 1 IN/HR WILL BE LIKELY...WITH LOCALLY HIGHER RATES POSSIBLE. LOW EXTENDS FROM MUCH OF THE DEEP SOUTH INTO NC/SC. RATES OF 2+ IN/HR WILL BE POSSIBLE. 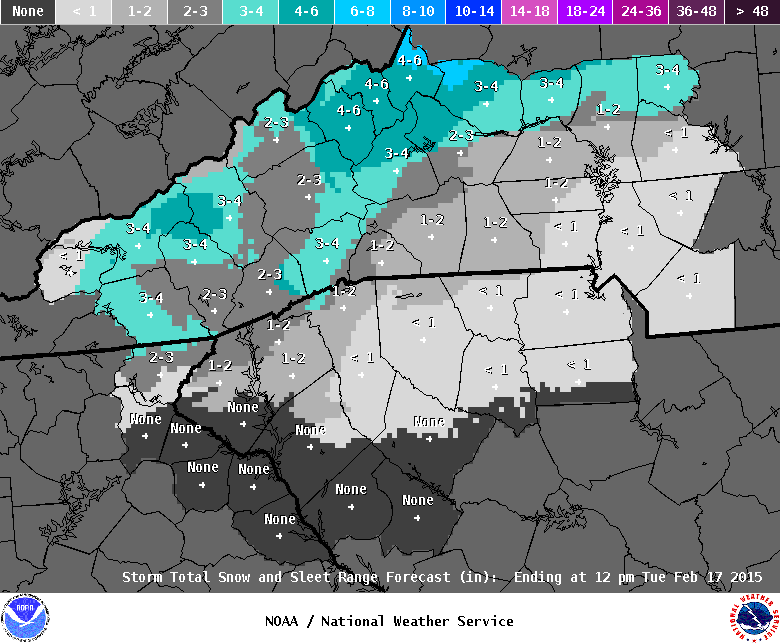 Quick and dirty: Rowan / Davie County / NC Piedmont will have 6 inches of snowfall with higher amounts likely closer to Charlotte averaging 8 inches. Banding of snow will be a major player as heavier amounts will be seen. Deformation zone could occur early Thursday morning and add 1 to 2 inches of additional snow which is likely on the north east side of the Piedmont. This is very similar (yet better...) to the National Weather Service forecast from all 3 WFO's that forecast as well as WPC thoughts as shown on snow progs below. So, 6 to 8 inches overall is a safe bet - as usual with heavier and potentially convective precip, snow amounts will vary within small distances. Generally, only change has been a small northward movement of low / precip and corresponding increase in precip amounts. 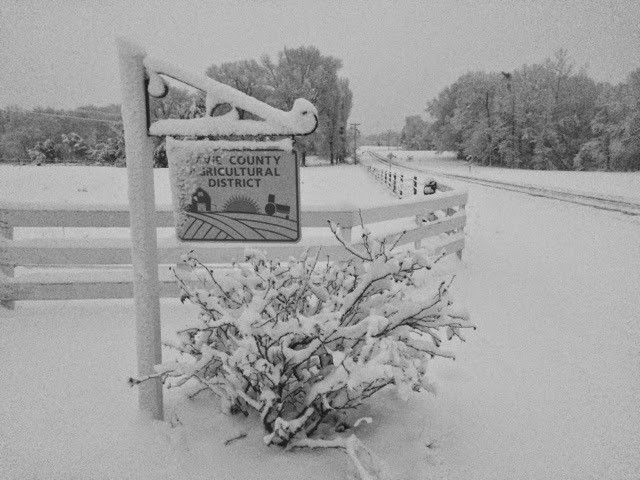 Here in Farmington we had an epic snow this AM: .9" Yep, enough to shut 'er down by Southern standards. 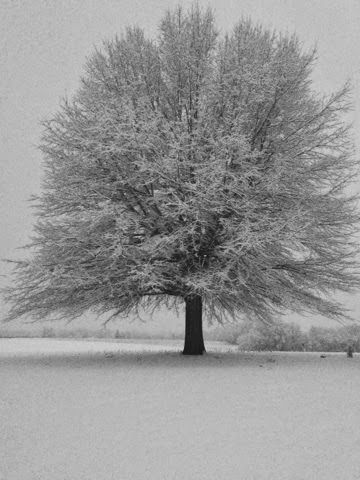 Perhaps the (always) tuned in snow-haters and even a lost Yank perusing this - shall we say, little pearl of meteorological erudition - might scoff at such a mighty snowfall they should not and cannot argue the proverbial "timing is everything" factor. So, as I was greeting the colossal snowfallen morning with my wife this AM I somehow found myself semi watching the local news - quite the rarity for this guy - I suddenly felt a twinge of "oh no I busted the forecast" as the continuous blare of reporters and TV mets suddenly had me full of a fear only a wx nerd knows. Was it possible that just next door (Forsyth etc) there had been a raging blizzard occurring in the wee hours? What had I missed? Why the snow rip-off in Davie? Fortunately for me, this painfully slow and seriously muddled thought process ended when I opened my eyes to stare into the box full of on the scene Jim Canboreme-esque hype reporters and saw that the snow was just like mine. So, I took a nap. Moral, none. Point, short. Time you spent getting there: depends on reading speed and how well you know me. To wit (stretching it): if the roads/ground temps are close or below freezing - all snow that falls sticks to said roads. 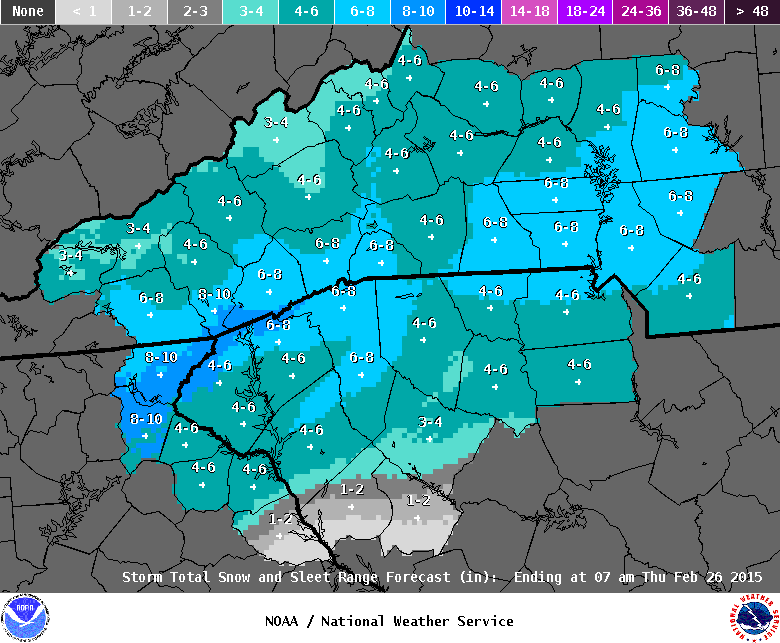 Winter Storm Warning for 2-5" for bulk of the NC Piedmont starting tomorrow late afternoon (GSP/Warning & RAH/Watch). I'll hope to write again quickly with specific thoughts/amounts but generally onboard with the thinking / scenario. Good morning N.C. Piedmont. Hope you like early AM snow. Might be some excited kids out there. WWA's (Winter Wx Advisory) posted by NWS GSP for all of the NC Piedmont forecast area (Davie, Rowan, etc) for a quick disturbance moving through in a few hours that could leave anywhere from a dusting to an inch, perhaps 2" if you are closer to CLT or the foothills. Wouldn't be surprised to see schools cancel b/c timing of what are really just some light snow showers - however will be around sunrise / bus time. Ground temps are cold so if it falls it should stick. If you thought Tuesday was gonna be warm - grab an extra coat. Most snow should be out of here by mid-morning, if you get much at all. Interesting little system because it has come on strong late...most won't be expecting this I would imagine. Weather guessers were not but you know what they say about that job. 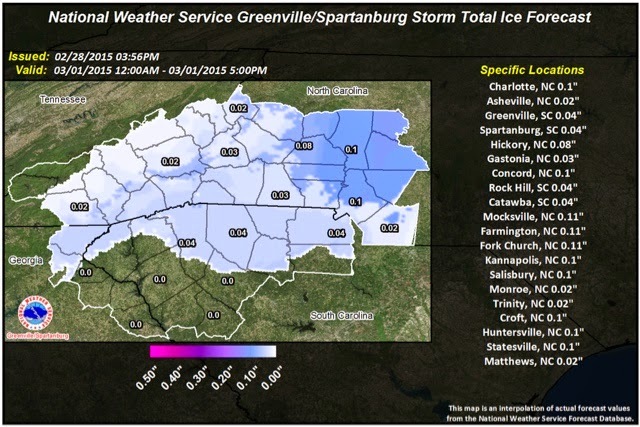 NWS WWA out late in the period as stated below. 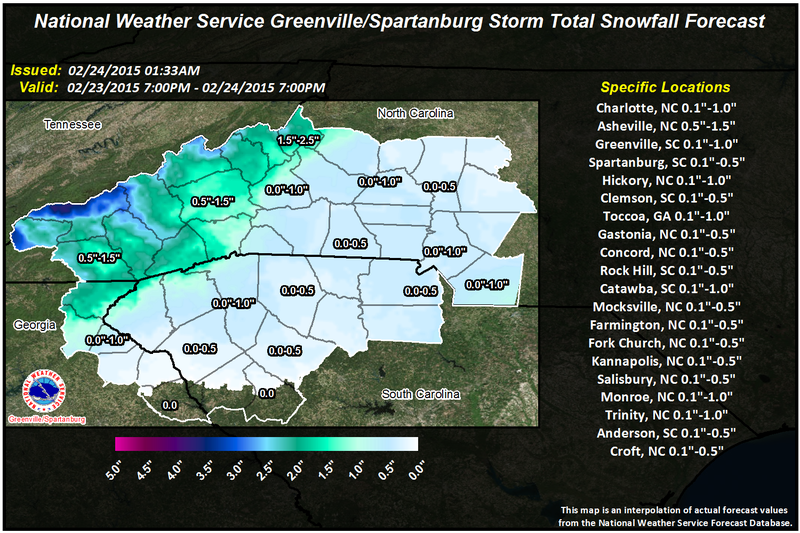 NWS in Raleigh has yet to issue anything but likely they will do the same. 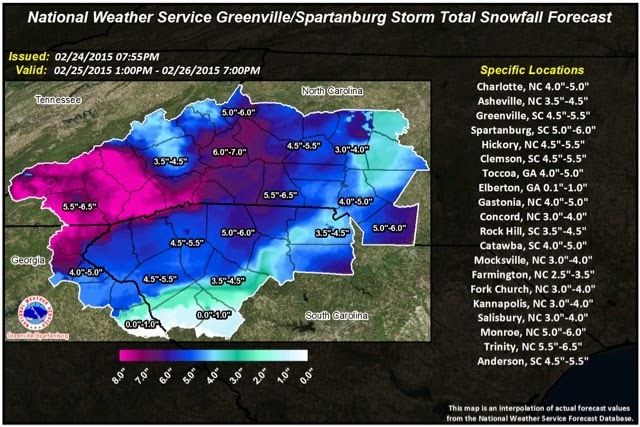 SO, the real news is the snow-storm Wednesday across much of NC. Talking 4+" most places (better if you live near Raleigh/Coast...) Could be higher bust potential in our area because there should be a cut-off zone where it snows/precips less as gulf moisture transports to Atlantic low. Hopefully not us but we usually see such an area in the synoptic setup. Not sure if that is CYA Penn talking. Graphic (1) from WPC about snow threat (almost 12 hrs old now) and (2) latest high res NAM model run showing general idea / track of storm coming in Wed and headed out by Thursday. Any-who, will fine tune those thoughts later today (hopefully) if I have time. But Wed PM - Thurs AM time frame is the target. 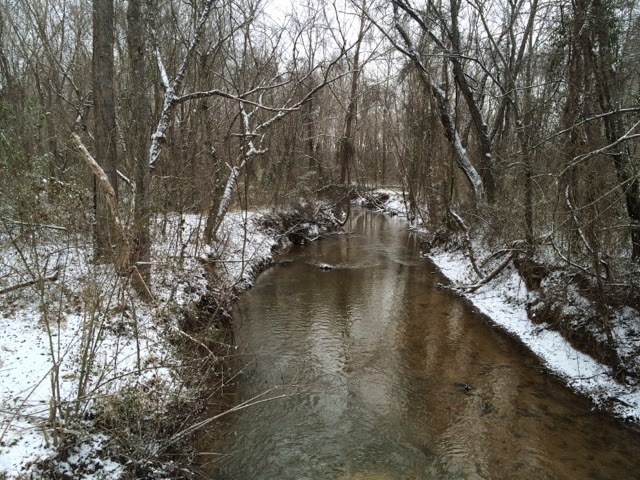 Enjoy any and all snow you get today. And your kids home again too if schools CYA out too. Be safe. NWS Advisory text follows after break. Out. This is why Twitter is so popular...just finished other post and now Winter Storm Watch upgraded to Warning. Thankfully / hopefully you don't rely just on me for your breaking news. Text follows. 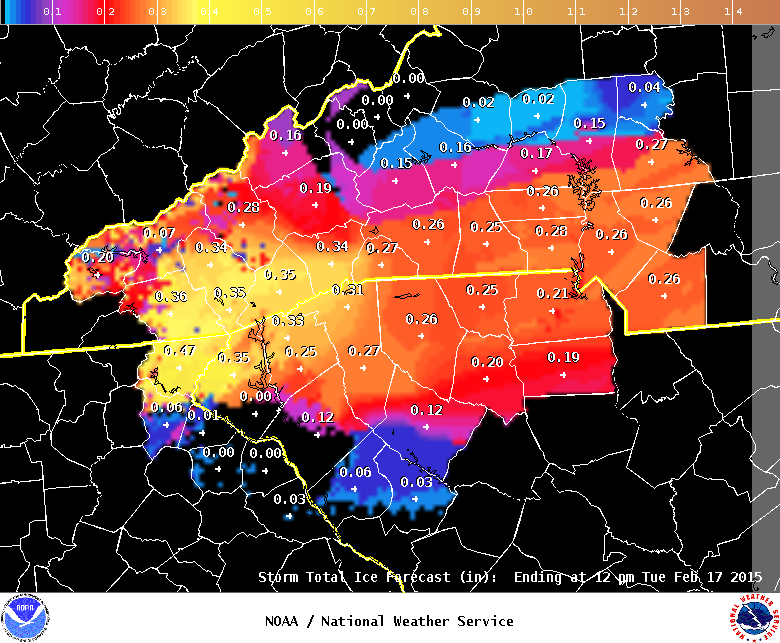 Thoughts: Precip amounts about right but frzra accum is overdone for areas N of Charlotte in my opinion. Assuming 10:1 ratio Davie County more like 6-8, Rowan 6, Charlotte 5, etc. Now back to drawing/finishing my map....I've just written what it will say in pretty colors.